If you can't get enough different takes on bubble tea, look no further than this option-rich tea shop. 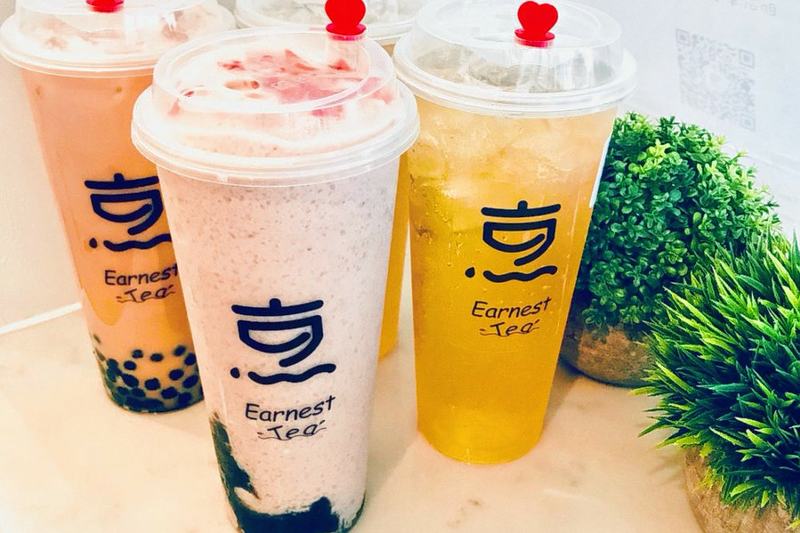 Called Earnest Tea, the new cash-only cafe is located at 5822 Eighth Ave. in Sunset Park. With more than 30 different drink bases and over a dozen different topping selections, bubble tea enthusiasts can customize their drinks exactly to taste. For instance, one might decide on a brown sugar fresh milk tea with grass jelly, or a Golden Dew oolong milk tea with golden mini tapioca. With a 4.5-star rating out of three reviews on Yelp so far, the new arrival has been well-received by early patrons. Yelper Michelle L., who was the first to review the cafe on August 7, commented approvingly on the availability of non-dairy milk substitutes and wrote, "Normally I don't get fresh taro drinks because I can't find a place that does it well, but this place nailed it." "Got a rose milk tea with tapioca/sago pearls. It was pretty tasty and definitely aesthetically pleasing," Yelper Tiffany L. added, but advised other customers: "Note that it's cash only and pretty much a hole in the wall so don't expect a place to sit." Swing on by to take a peek for yourself: Earnest Tea is open from 11 a.m.-midnight daily.